Jeffrey M. Karp is a partner in Sullivan & Worcester's Washington, D.C. office, where he heads the firm’s Environment, Energy & Natural Resources Practice Group. The Group includes the following fields of practice: environmental regulation, compliance, litigation and transactions; climate-related business & technology; energy transactions and finance; renewable energy, energy efficiency and clean technology; and water resources and conservation. The Group brings together practitioners from across the firm’s legal disciplines in its offices in Boston, New York, Washington, D.C., London and Tel Aviv. 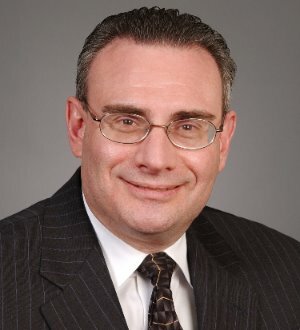 Mr. Karp’s practice focuses on assisting clients in resolving complex regulatory matters and high-stakes business disputes, and engaging in cutting-edge technology transactions. He represents clients on the full range of environmental compliance issues under federal and state laws, including government investigations and enforcement actions. He also has extensive litigation experience, both on the government side and in private practice, and has an impressive track record of resolving disputes short of litigation, both with respect to claims arising under a wide range of federal and state laws, and those involving complex transactions. Mr. Karp advises corporations, developers, financiers and individuals seeking to participate in water, renewable energy, and clean technology transactions and project development worldwide, with an emphasis on assisting Israeli companies seeking to commercialize their products, services, and technologies. Mr. Karp also has substantial experience assisting clients in addressing legal, contractual, and regulatory issues arising during the development of large-scale infrastructure projects, including obtaining government authorizations and negotiating project agreements. Before entering private practice in 1990, Mr. Karp served as an environmental prosecutor at the U.S. Department of Justice, where he litigated and later also supervised enforcement cases involving a variety of environmental laws. Mr. Karp is a regular contributor to the Energy Finance Report.